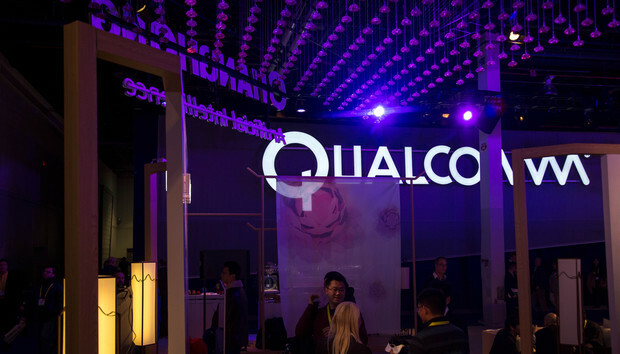 Qualcomm dominates the Android Wear segment of the wearable market and has teased what kind of improvements and features the next generation of its Snapdragon Wear processor will bring. It's not time for the final announcement yet but Qualcomm has teased what the upcoming addition to the Snapdragon Wear line-up will be like at its 4G/5G Summit in Hong Kong where Tech Advisor was in attendance. It also alluded to upcoming Snapdragon chips dedicated to Windows. "We are working on the next generation," said Pankaj Kedia, senior director of product management at Qualcomm Atheros, and you can "expect Qualcomm to improve technology where the power [consumption] is lower, the size is smaller, the sensors are smarter, the connectivity has LTE/IoT for example and the thing is secure." Battery life is arguably the biggest challenge technology right now, not just in wearable so we're hoping Qualcomm can make some big strides here. The firm says it's a balancing act between battery size and thin designs. "You want to reduce power consumption. We are doing so at the chip level, at the platform level. So using the chipset to intelligently turn off things you're not using," said Kedia. He added, "There is no one silver bullet," and "Things only get better from here". "We continue to chug along; this is not an overnight thing. We are in wearables for the long haul. We are just getting started." With 85 percent of the Android Wear market, the chipmaker will be hoping to help partners create demand for new devices including smartwatches and activity trackers. We'll have to wait a bit longer for the final details of the new Snapdragon Wear, which we expect to be announced official at the Qualcomm's Snapdragon Summit in December.